An innocuous cloud of Radioactive pollution that passed over Europe in September and October 2017 likely came from a nuclear facility in Russia or Kazakhstan, according to French authorities. France’s nuclear security institute (IRSN) confirmed the detection of ruthenium-106 in late September but said that the cloud had passed over and there was no impact on human health or the environment in Europe. Ruthenium-106 is used as a radiation source in cancer therapy for the treatment of ocular tumours. It can also occur during the reprocessing of nuclear fuel elements, according to the IRSN’s German counterpart. An IRSN statement said the Ruthenium-106, which had been detected “in a majority of European countries,” plausibly came from a site between the Urals and the Volga river in Russia, but that it “was not possible with the data they had to specify the exact point of origin”. This could indicate that the source was either Russia or possibly Kazakhstan. The National Institute for Radiological Protection and Nuclear Safety released a map showing the “plausible zone of Ruthenium 106 release, along with the quantity of the substance”. The IRSN also ruled out an accident in a nuclear reactor, as no other substances nearby were contaminated and a crash of a ruthenium-powered satellite as their investigation concluded that no satellites of this nature fell to Earth during this period. “Russian authorities have said they are not aware of an accident on their territory,” institute director Jean-Marc Peres told Reuters. If a release of nuclear material of that scale had occurred in France the IRSN said it would evacuate people within “several kilometres” of the origin point. 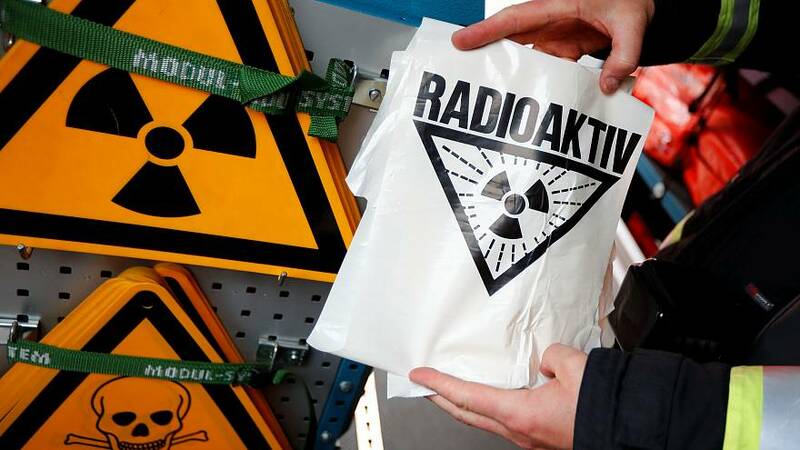 Germany’s Federal Office for Radiation Protection said it could not rule out an accident at a nuclear power plant due to the type of particle detected.